Now that I am working my weekly dinner repertoire has narrowed quite a bit. I do try to pick a recipe or 2 from my food network magazine every week to mix it up. But I mainly stick to my weekly quick dinner nights such as – taco night, stir fry night, pasta night, burger night. I do try to change up the ingredients on each of these nights but one thing I always go back to is my taco seasoning. Years ago I would just buy taco packs at the store. It was convenient to buy them because they included the sauce, tacos and the seasoning. But then I read the ingredients and I saw there were so many things I could not pronounce. As I started to make more marinades, sauces and seasonings homemade I decided to try that for my tacos too. 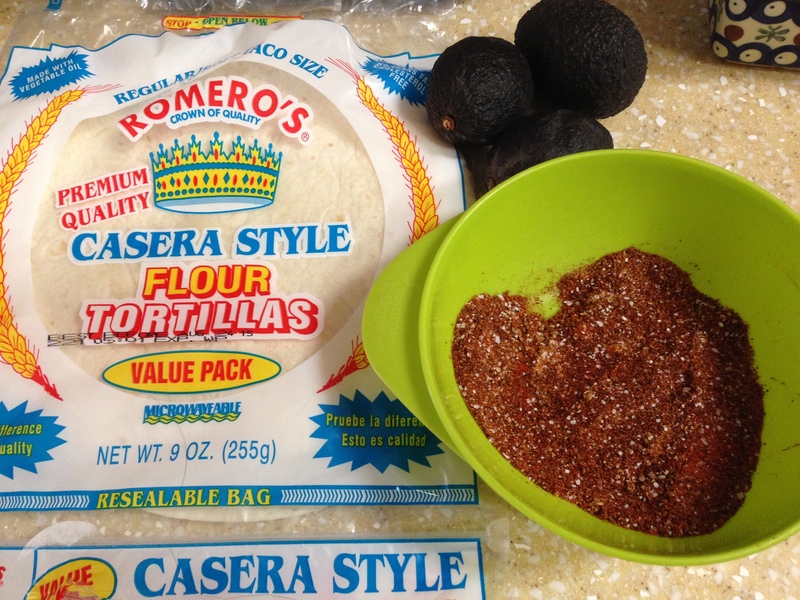 Of course my go to guru for all things made at home – Alton Brown, had a great taco seasoning recipe. When I whip up a batch of this it usually makes enough to save some for 1 or 2 more batches of tacos. I think the coriander is the key to the taco spice taste you would expect, as that is a spice I don’t work with often, but it really adds a nice flavor. My kids can be picky but they even enjoy these flavors. So next time it is Taco Tuesday at your house try mixing up these spices and making your taco night a bit more natural and a ton more tasty! You are currently browsing the What Tara's Cookin' blog archives for September, 2015.